Department of Chemicals and Petrochemicals Secretary P Raghavendra Rao on Monday informed that the review meeting with various states on the proposed Plastic Parks will be held soon. 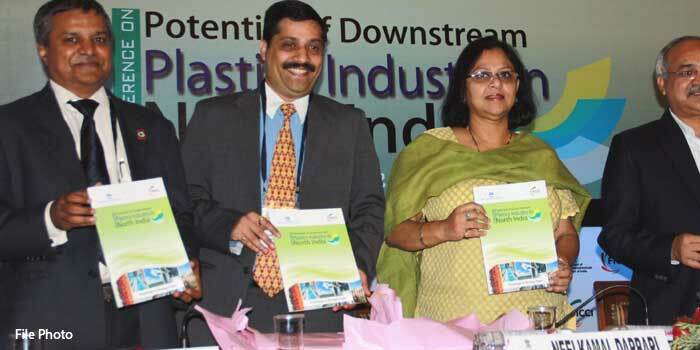 Nearly seven states have come forward for setting up plastic parks in their states and we will soon have a review meeting with them on it, Mr Rao told reporters at the sidelines of a industry meeting on “ Indian Chemcial and Petrochemical Industry and Inda CHEM 2018” to be held at Mumbai from october 4 to 6, here. The central government will sanction Rs 40 crores in a phased manner to each park, he said. To a question, Mr Rao said there were some issues with regard to the proposed Petroleum, Chemical and Petrochemical Investment Region (PCPIR) in Andhra Pradesha and Tamil Naidu. The government has approved four PCPIRs – Visakhapatnam (Andhra Pradesh), Dahej (Gujarat), Paradip (Odisha) and in Tamil Nau, he said the Odisha project is in advanced state but there were some issues with regard to anchor units in Andha Pradesh and Tamil Nadu for supplying feed stock. We will discuss with the Andhra Pradesh government over anchor units, he informed. Earlier at Industry meet, Mr Rao said imports are far exceeding the exports and the country’s chemcial industry has the potential to reach USD 226 billion by FY 20. The growth is expected tob e driven by rising demand in end-use segments and expanding exports fuelled by increasing export competitiveness, he said the Chemical industry’s R and Dspends would need to go up significantly from current levels of less than 0.5 per cent of sales to 2 per cent by 2020 and eventually reach closer to global benchmarks of 4 per cent of sales. Mr Rao said the disinvestment of Hindustan Fluorocarbons Limited (HFL), a subsidiary company of Hindustan Organic Chemicals Limited (HOCL), is on and the initial Expression of Interest has already been floated. HFL ,which is engaged in the manufacture of poly tetra fluoro ethylene and fluoro methane, become sick long back.